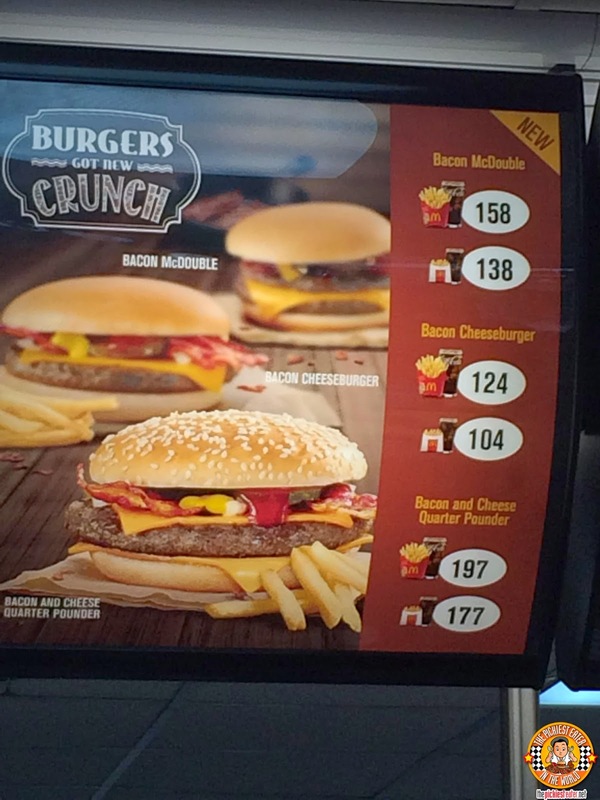 THE PICKIEST EATER IN THE WORLD: *UPDATED* MCDONALDS BACON BURGERS ARE HERE.. AND THE STORES THAT HAVE IT ! 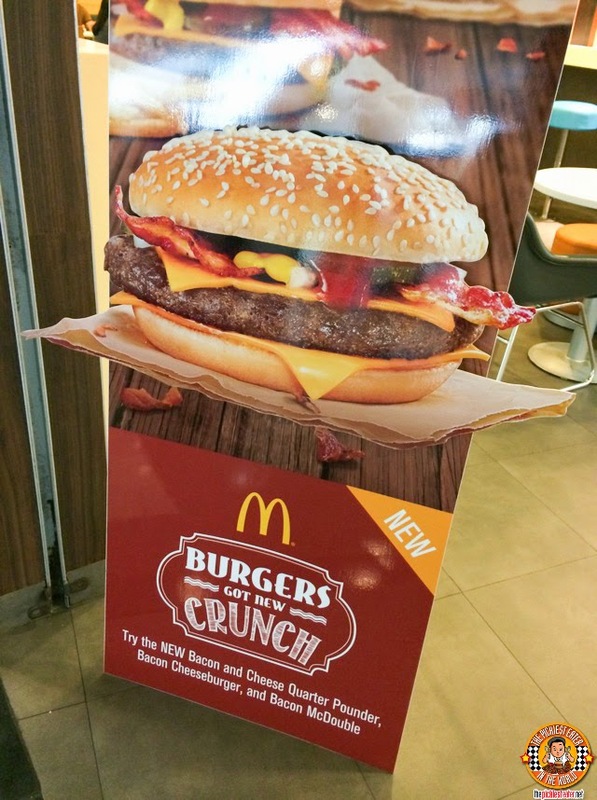 Unfortunately, Mimai and I found out the hard way that as of today, March 27, 2014, not all McDonald's Branches carry their new Bacon Burger line.. and certainly not the - Not ONE, but TWO Branches on Emerald Avenue. I was quite eager to write about this great news to share with you guys, and was really disappointed to find out that it's only available in selected branches. But fortunately I had an ace up my sleeve. "Are you serious? ", was Rina's question to me. "It's for the blog, hun! ", I implored. So yeah, Rina got a curious stare from the cashier, as my tiny wife ordered one of each burger. 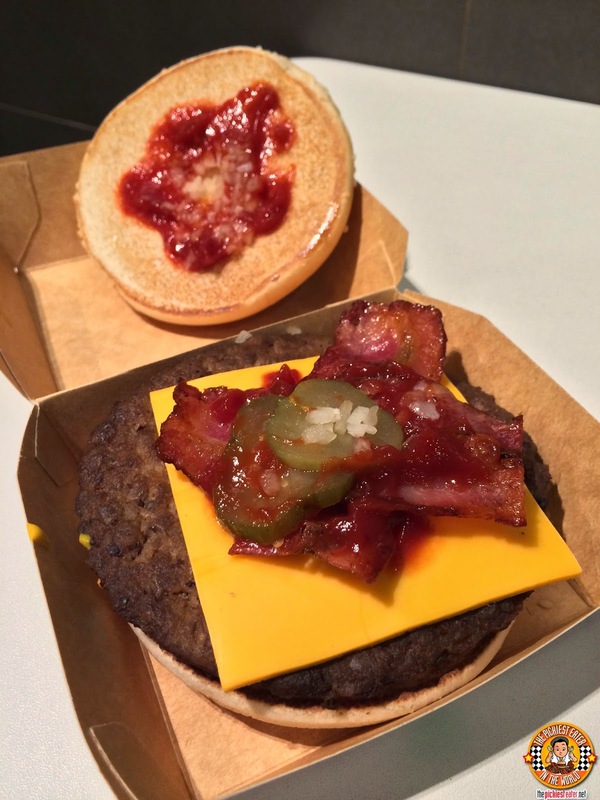 The burger I order most often from McDonald's is their Quarter Pounder, so it was the news of the Bacon And Cheese Quarter Pounder that excited me most! I was happy to see that the Bacon wasn't the synthetic looking kind that you often find in some fast food restaurants. The two strips of bacon looked like the kind you could make at home. It had a deep, almost crimson hue, a nice caramelization along the edges, and had the requisite crunch to it, living up to its tagline. 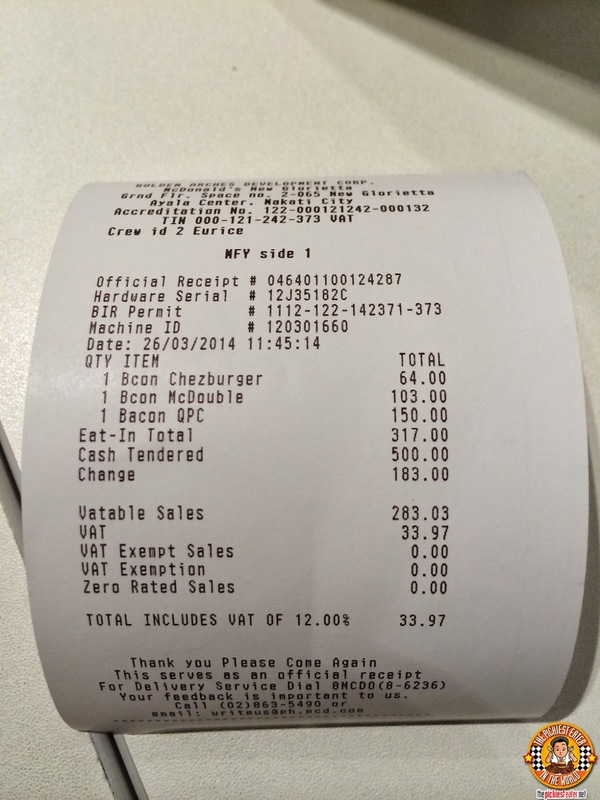 But with a patty as big as the Quarter Pounder, it could have used a couple more strips of bacon (But that's just me). 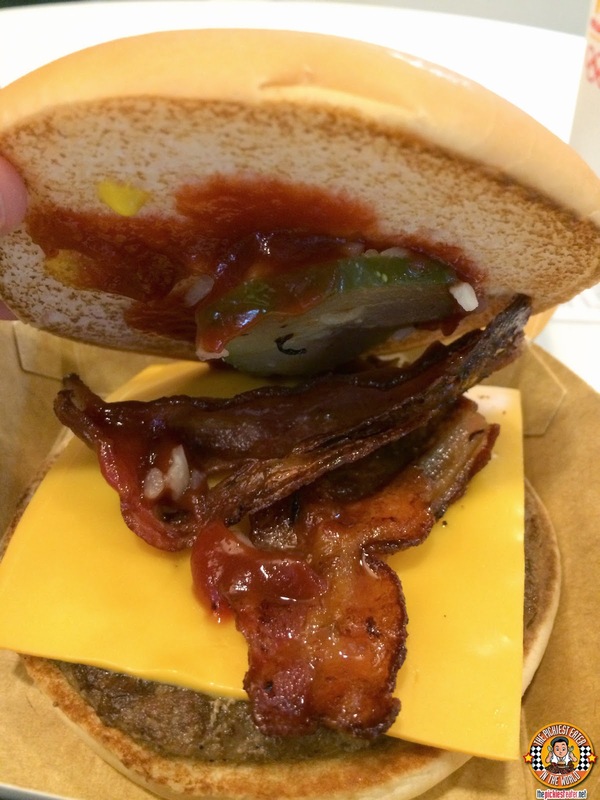 The next Burger in McDonald's I go for is the Double Cheese Burger, so I'm glad they decided to pimp it up, and create the Bacon McDouble. The bacon looked stunning, but could have used at least one strip more in my opinion. It was the Bacon Cheeseburger offered the best ratio of bacon to burger, in my humble opinion. The bacon on this one had a gorgeous glaze to it, huh? My personal preference is to enjoy the burgers without pickles and ketchup.. and slather any of these bad boys up with McDonald's BBQ Sauce!! 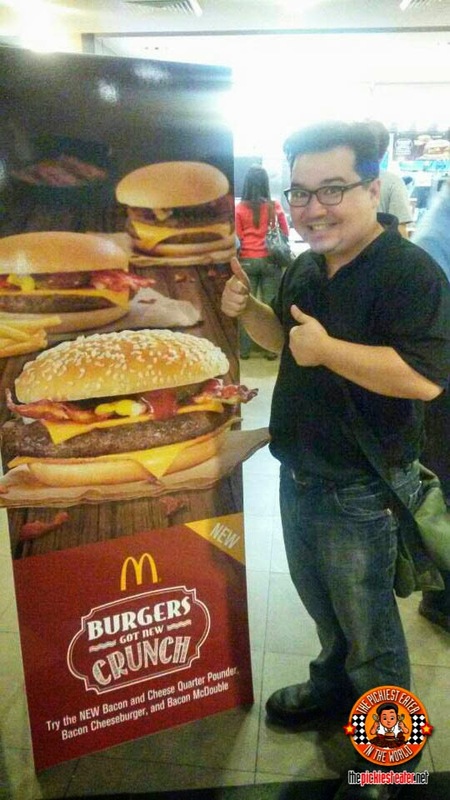 And just like that, you have your own "McDonald's Western Bacon Cheese Burger"! 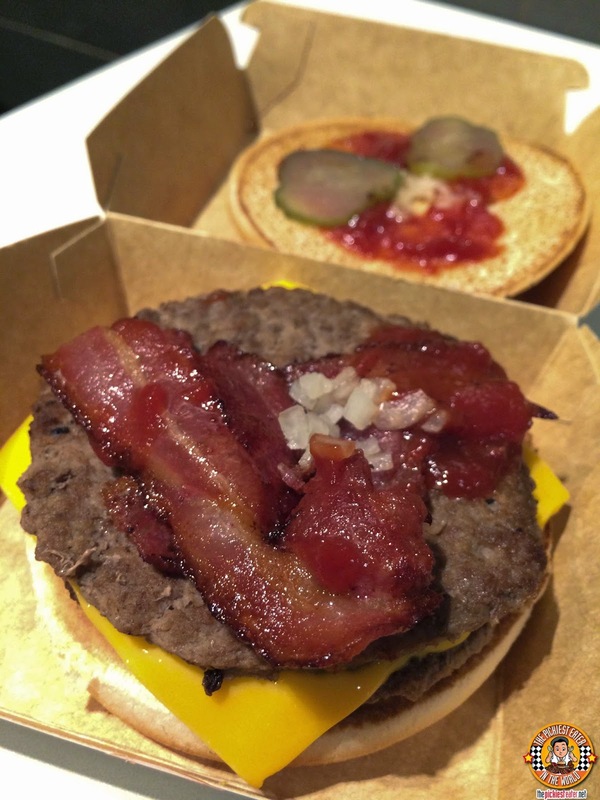 Regarding the availability, I have no clue which McDonald's Branches serve the Bacon line. I assume that all Major Mall outlets will have it, but I can't be sure.. All I know is that it seems quite rare, because there's no news of it even in their Facebook Page! Also, I have no idea how long this would be available, so I strongly suggest you try it as soon as possible. UPDATED!! 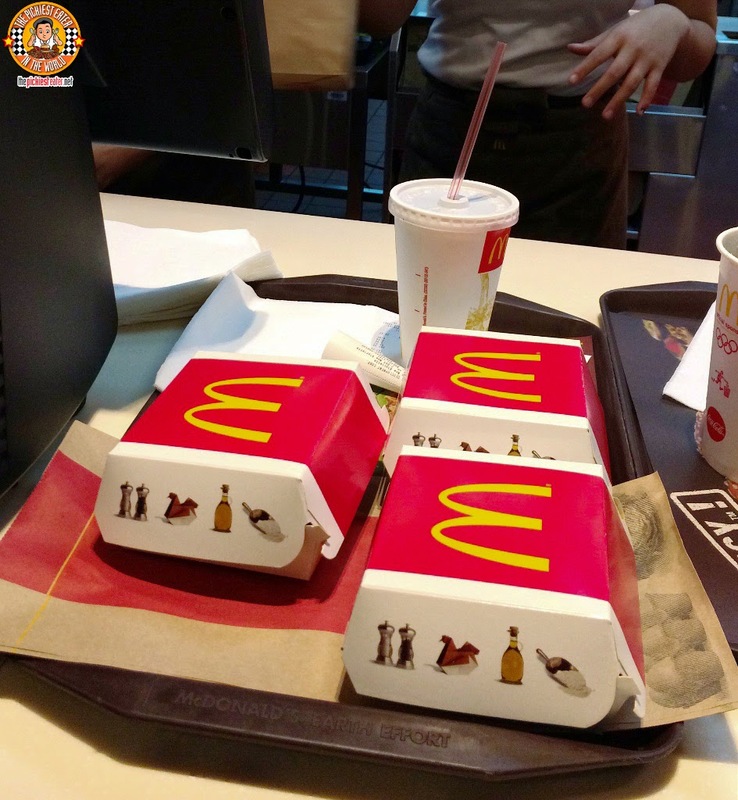 LIST OF MCDONALD'S STORES WITH BACON BURGERS! 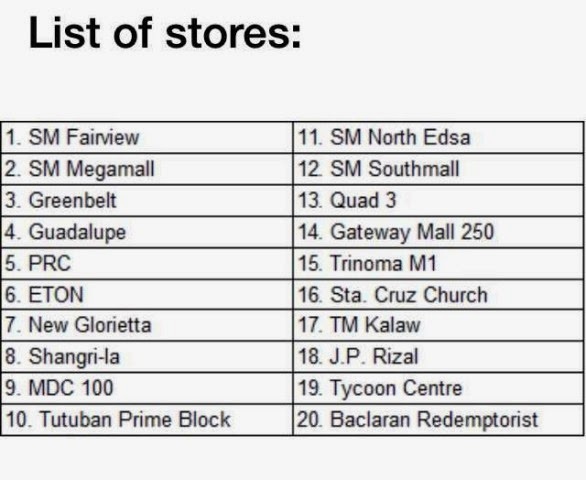 My friends from McDonald's Philippines has provided me a list of stores!!! Good luck Chaneen! Please lemme know if the branch you go to has it! Richie!!!! I hate you!!! hahaha Natakam ako nung nasa Baguio ako... sad to say wala rin sila dun. Can't wait to try this out. 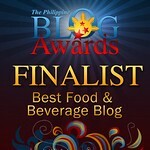 I heard maganda yung ayala terraces dun.. have you seen it na? Screen capture done! Thanks for sharing the locations, RichieZ! You are most welcome, Almonde! Happy Hunting! Tag mo ako sa Instagram when you find it ha?